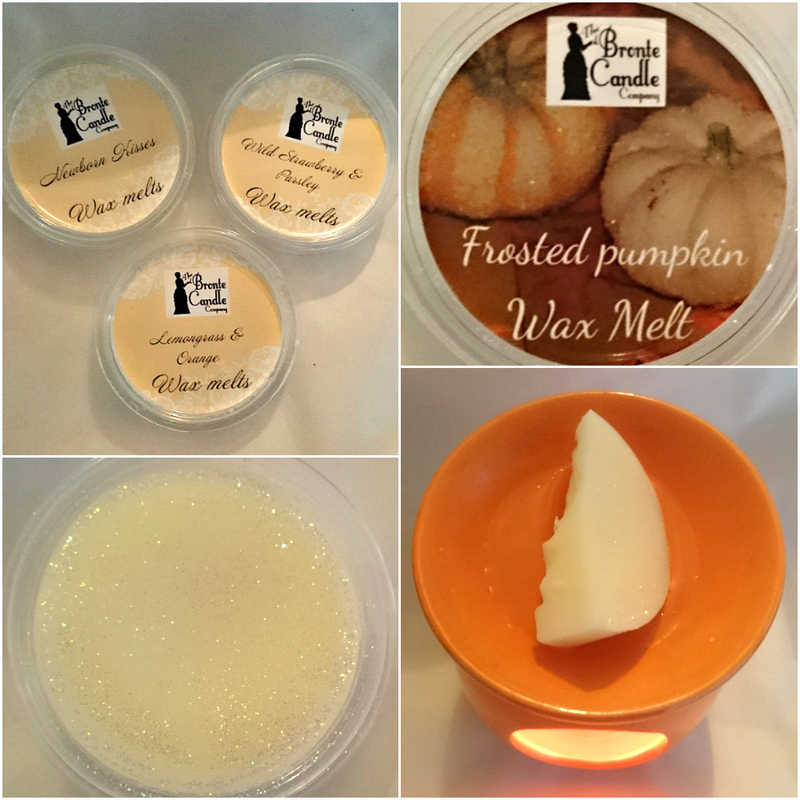 The Bronte Candle Company’s wax melts are all handmade with 100% soy wax and the finest quality ingredients. 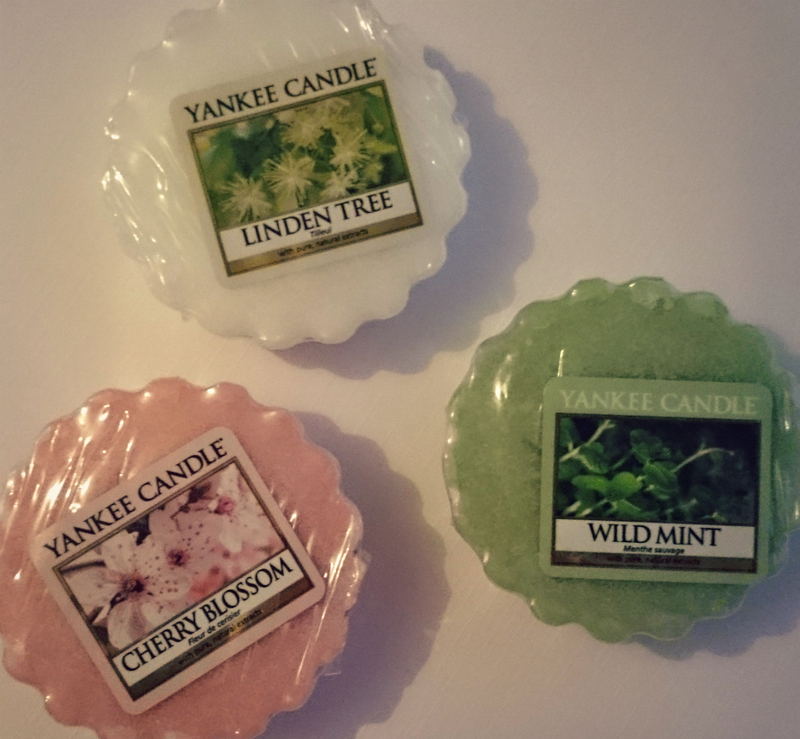 I was super lucky to be sent some to review and the scents that were chosen for me were so perfect! I gotta admit that we were sort of expecting Autumn type fragrances in the September box but we were actually really happy with the scents that were chosen, it’s nice to hold on to Summer for just a little bit longer. So what scents were in this month’s Melt Crowd? We have already told you about Tinder Box Candles on our blog before. 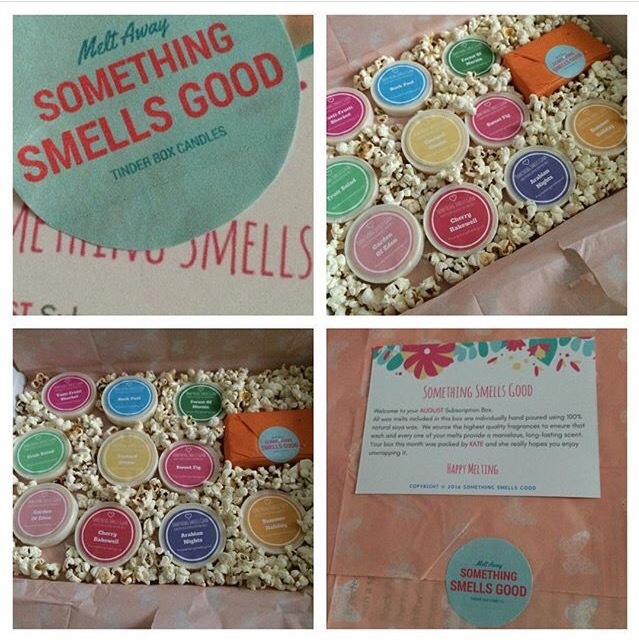 They very kindly sent me their “Something Smells Good” wax subscription box to review. With this box it is just £12 a month (with free UK postage) you will receive 10 hand poured soy wax melts plus a free gift. There is no obligation to do a lengthy subscription and you can cancel anytime. Also the scents you get sent are exclusive so won’t be available on their Etsy shop to anyone else for a month. I like this idea! 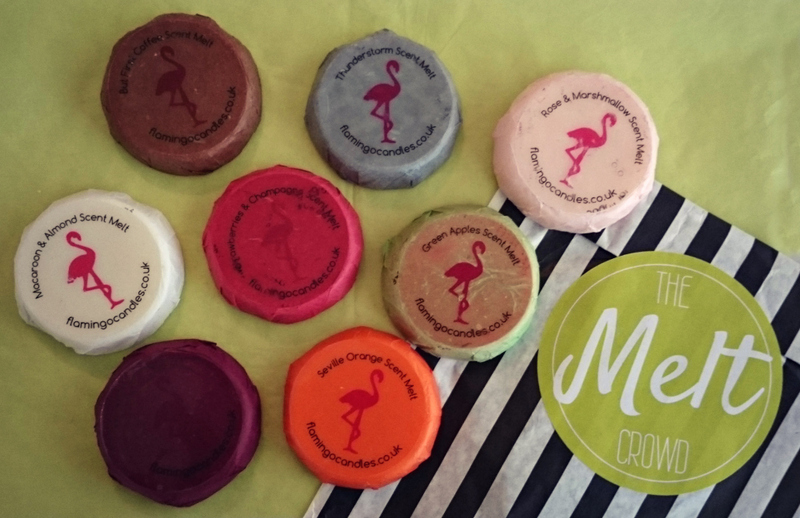 Each of the wax melts is easy to break in half or even quarters. Each is packed full of fragrance and there’s definitely something for everyone in here.